A Haven for ladies to learn more about Cannabis and its many benefits. Hey you, It’s been a while! Thank you for joining me once again for this month’s edition of the Canna Book Club! This cook book is filled with delicious recipes fit for a Queen, or King. While some of the recipes were a bit out of my league in the chef department, I did find a few breakfast items that were so scrumptious, they were finished off within one sitting! I really enjoyed learning how to infuse different types of oils and butters with cannabis. Next on my list is to infuse some extra virgin olive oil - yum maybe I’ll add some other herbs to it too? I liked this cookbook a lot, but to be quite honest, most of the recipes were quite traditional which I don’t necessarily care for personally. This would however, make a great gift to your grandma who’s just now getting into cooking with cannabis. She would absolutely love the traditional recipes with a ganja mama twist. If you’re like me, just make sure you copy the banana bread and cranberry muffin recipes before handing it over to Gamma-G.
What did you think of this book? Did you love the recipes? 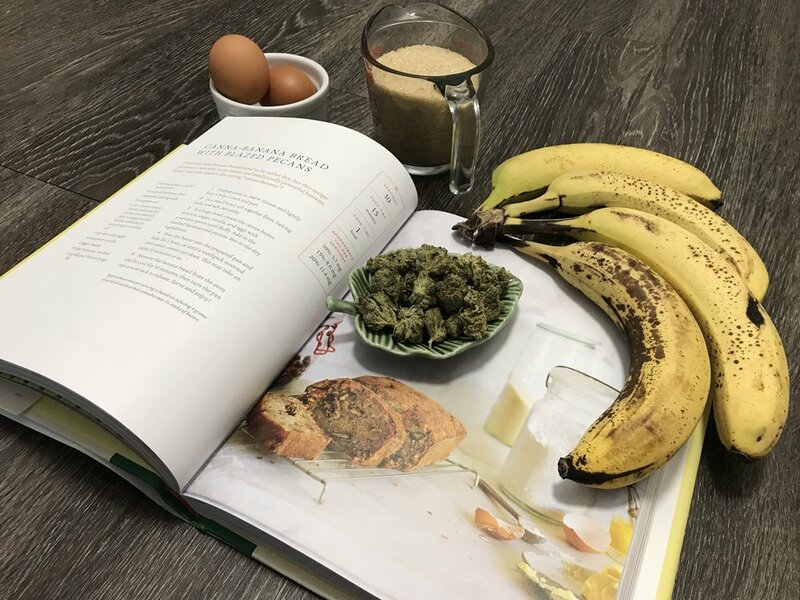 I’m still raving over the Canna-Banana bread with Blazed Pecans! I know what I’ll be whipping up this weekend!